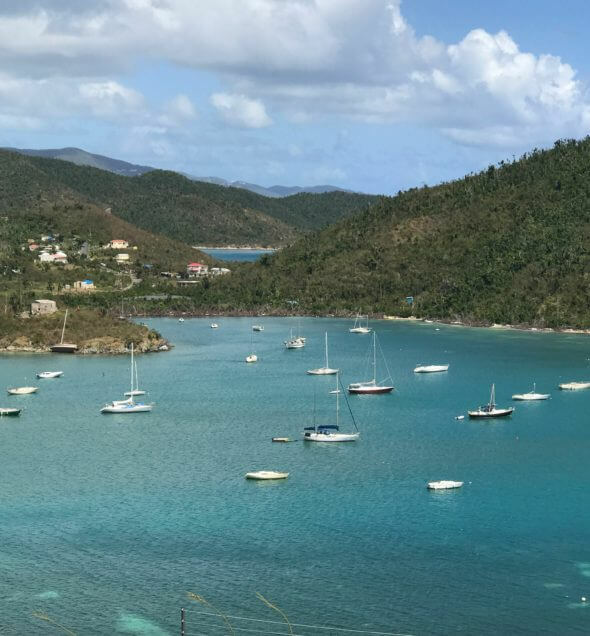 I was generously ask to accompany a dear friend and husband to beautiful St John in the U.S. Virgin Islands. They were on a business trip to the island to check on there properties post hurricane. In September 2017, Category 5 hurricane, Irma slammed the Island downing power lines, tearing off rooftops, or destroying homes all together, caused major flooding and vegetation loss. Shortly after, hurricane Maria swept through and added to the the horrific destruction. It looked like a war zone. In, February, I arrived on Island not knowing what I would see. Although the destruction was very much evident, so was the amazing resilient spirit of the people. They were ready for folks to return. I was happy I came. I stayed at my friends beautiful villa, Into the Mystic . It was here where I was able to do a little Thrifty to Nifty makeover for her with some of the construction pieces that were left over. 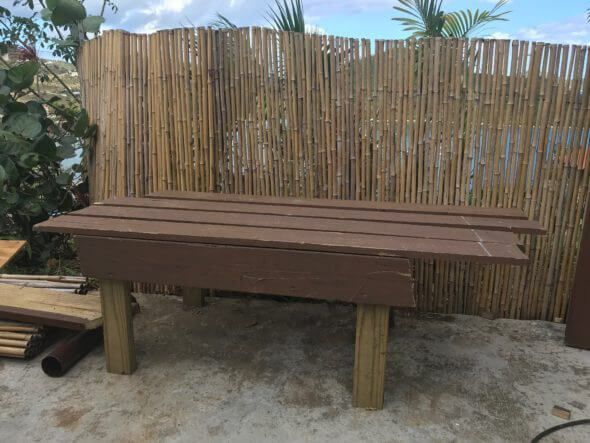 This make-shift bench was on it’s way to the garbage, when the idea arose to to rescue it. Everyone else had projects going on at the time… repair projects that is. However, I too wanted to do my share. 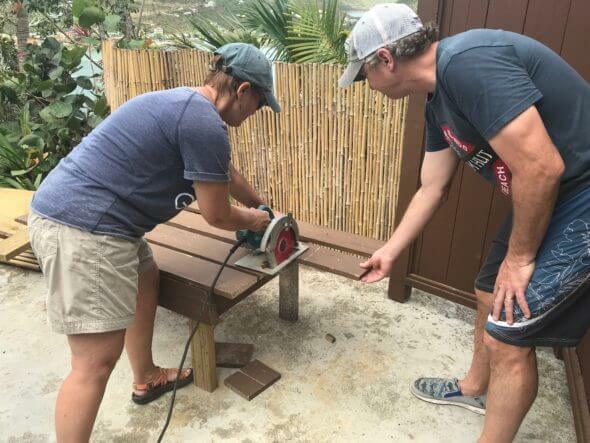 Why not do a little thrifty project in the Caribbean? My project just ended up being a fun one. 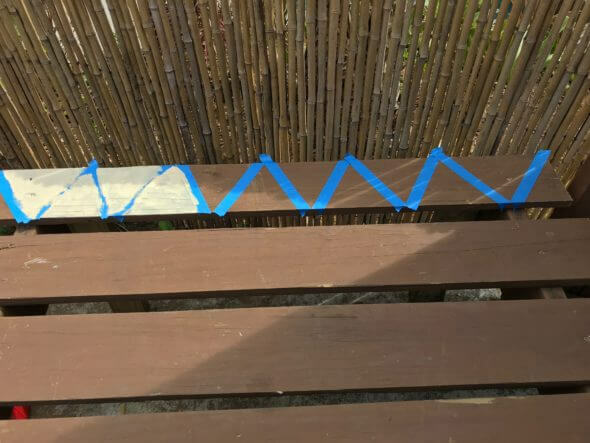 With a little tweaking of the uneven length of the top of the bench with a skill saw borrowed from the construction crew, the bench was ready for prepping and paint. Choices for paint were slim. It was the selection of what was left over from previous projects, but that made it all the more fun! Being on “Island Time” this project took a while. I had to stop for an occasional rain shower, or my own personal shower or a cocktail or two. while enjoying the magnificent view. However, it did get finished and with a little bit a staging it is now a welcoming site for visitors to come sit a spell and relax. My wish is to return again and do another fun thrifty project for my friends. It’s quite a treat! 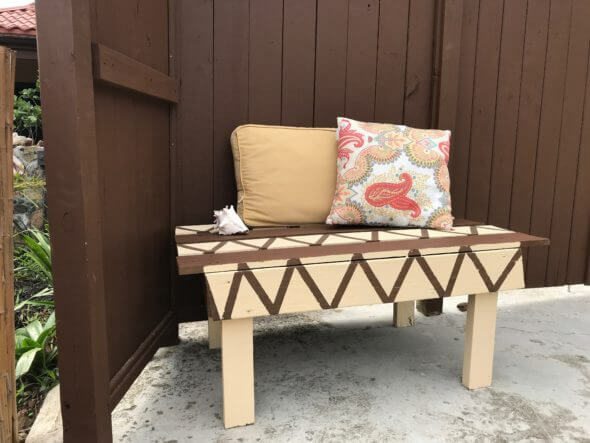 What a great project & I loved your post! Thanks for sharing at Vintage Charm! Thank you, Michele. It was so much fun to to do! It’s a true ‘rebuilding’ project. I love it, Miss Mary!